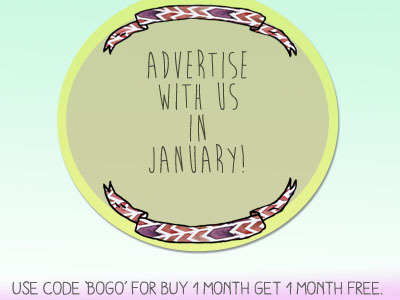 BOGO ad space for January! Now through December 31st, purchase any ad space and get another month added onto it for FREE! Use code 'bogo' to make it happen!